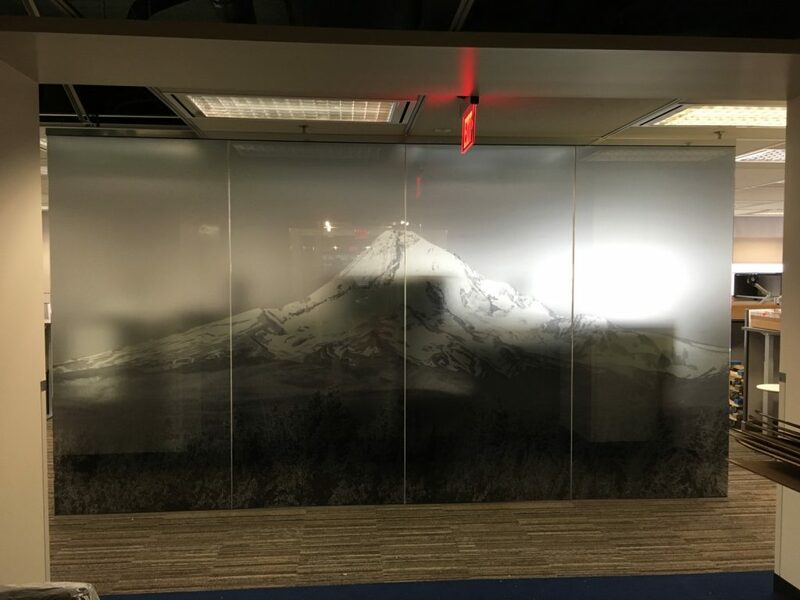 When you think of window film, graphic installations might not be the first thing that comes to mind. In its most familiar use, tinted window film is characterized by subtle shading that protects people and interiors from glare, heat and ultraviolet light. Film, however, isn’t just for glass. It is much more than just tinting for windows. 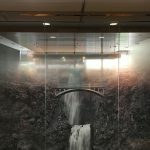 We can install film on the walls of your offices, hallways, lobbies or just about anywhere. Decorative film includes anything from a logo and text to large-scale murals. Branding is important for every company. Portland is filled with interesting businesses all looking for ways to stand out from the crowd. To stay visible in Oregon’s crowded landscape of companies, keep your brand front and center. You can do this in a variety of ways, through marketing, advertising and PR. Perhaps the easiest and most direct way to display your brand is with words and images on the walls and windows of your buildings. 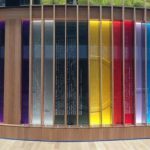 Here’s how you can use decorative film to enhance visibility and brand identity. Highlight your Portland pride by installing film carrying one of the city’s iconic images. We recently completed a piece showing one of Portland’s most recognizable sights. No state is more outdoorsy than Oregon. Show your love of nature by installing a large-scale installation of forests or waterfalls. Are you dreaming of a mural? Film is one of the most affordable ways to get an eye-popping graphic in your building. Your logo should be instantly recognizable and prominently displayed. Film is a cost-effective way to get renditions of your logo on exterior and interior windows, repeated throughout your office or facility. Every business has a core set of values, often represented by a motto. Your company motto and values can be plotted on film and displayed with your logo. Art is expensive. Decorative window film and graphic installations are among the most affordable ways to beautify and brand your business headquarters. We can create incredible graphics at a fraction of the cost of commissioning a large painting, mural or engraved window. We use a computerized plotter to create your design, and then add finishing touches by hand. Learn about our work at the University of Oregon. Are you ready to learn more about how decorative window film can give your business a fresh look? Contact us today for samples, an estimate or more information.